However, I find myself still hung up on Baby Driver’s ending. (Spoilers below, obviously!) 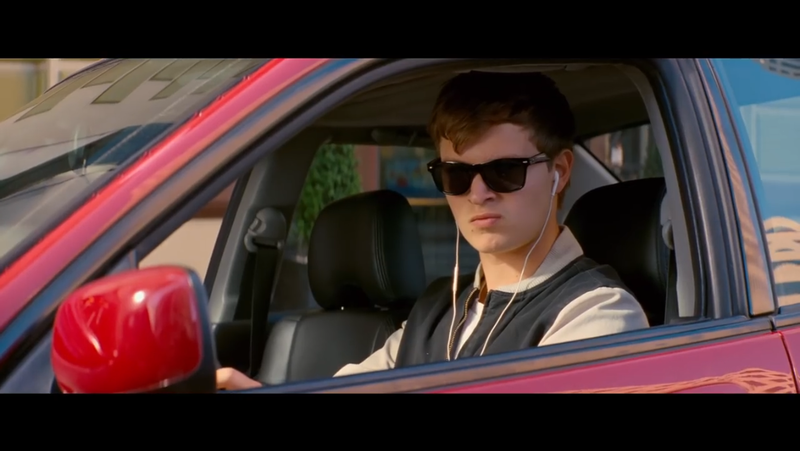 So for those who haven’t seen Baby Driver, it centers on a young man named Baby who drives getaway cars for various robberies/heists, and who constantly listens to music on an iPod to drown out ringing in his ears caused by tinnitus from the car crash that killed his parents. His whole life moves in time to the music he chooses to play, and he’ll even pause a getaway in order to restart a song to get on the right beat for his driving. But when he falls for waitress Debora he tries to leave the life behind only to get roped back in, eventually causing him to fight back and ruin the plans of the criminals he works alongside. When two of them are killed, Baby and Debora are forced into a showdown with Buddy (played by Jon Hamm), who eventually corners the lovebirds in a parking garage as they try to escape and start a new life. Baby and Debora eventually force Buddy’s car over a ledge, thinking they’ve killed him, only for Buddy to make one last surprise appearance. Buddy fires his gun next to Baby’s ears, temporarily deafening him before Debora and Baby manage to send him to his inevitable death. Now here’s where things didn’t click for me. Usually I don’t make a conscious effort to try to figure out what’s coming in a film. I don’t like guessing at surprise twists or even anticipating obvious emotional or story beats, preferring instead to let the movie take me on its journey at its own pace, content to live in the moment when watching a film. As with most movies, I was very emotionally invested in Baby Driver by this point, and I was convinced at a subconscious level that things were building to a final chase. It seemed like everything was perfectly set up for one last action sequence, a run from the cops. From a story standpoint, we’d seen earlier when Baby stole a car that he wouldn’t drive away from the scene until he could find the right driving song. So now with his hearing gone, even temporarily, I felt things were heading towards Baby and Debora trying to escape from Atlanta with cops everywhere, only this time with Baby having to overcome his fear of driving without his tunes. I could even see how it would all play out. Debora would hear police sirens closing in and would communicate to Baby that they need to go. She’d lead him over to a car, helping him into the driver’s seat, only for him to object and say that he can’t do it. She’d mouth something loving and inspirational for him to read her lips, and they’d burn rubber out onto the streets. 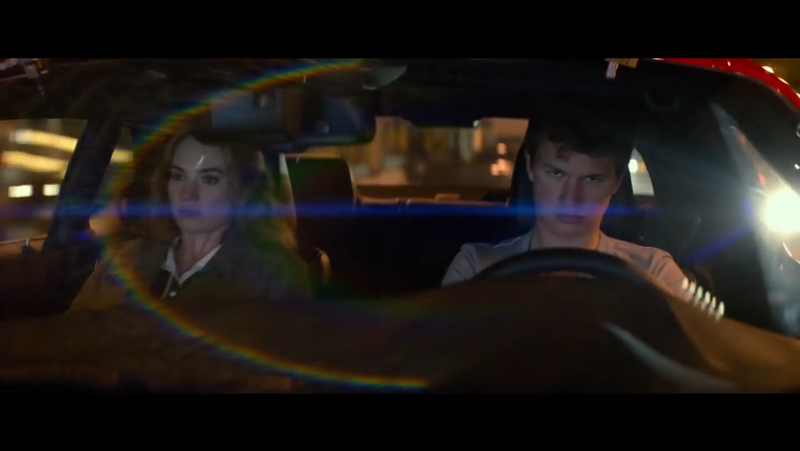 It would be the perfect counterpoint to the two earlier chase sequences (Baby Driver is very front-loaded with chases), which were defined by the soundtrack, choreography, and rhythm. So I was emotionally preparing myself for chase that either had no music, and just intense car chase sounds, or muffled sound (or no sound at all) as Baby’s hearing slowly recovered. The movie would end with the same adrenaline with which it began, but without the musical gimmick (for lack of a better word, but don’t think for a second that I didn’t love the gimmick). I never expected Baby and Debora to get away cleanly, but when Baby Driver cut from the parking garage to Baby’s eventual arrest, I was so disoriented that it took me a while to settle in for the film’s final minutes. Don’t get me wrong, I’m not in any way objecting to Baby Driver’s ending, which was sweet and worked perfectly (though it would still have worked with my imaginary final car chase). I didn’t even really process my expectations until after the movie, but emotionally in the moment I knew something didn’t feel right. It’s like walking down stairs in the dark and missing a step and catching yourself, the feeling that you know what’s coming only to find the unexpected. I don’t think Baby Driver would have been a better film with one final chase, but I do believe that the storytelling pointed that way, even if only subconsciously. Perhaps it’s also a reflection of how ingrained the tropes of different film genres are into our brains, that in this case without even knowing it I had begun to anticipate what was coming instead of just going along for the ride. Or it could even have been an intentional act of misdirection from Edgar Wright in order to subvert expectations, giving the movie a remarkably calm ending without one final action sequence to send us on our way. This dilemma with the end of Baby Driver was something I had never experienced before, and in many ways it has overshadowed my general feelings for the film and has filled me with questions. I’m curious how I will react once I rewatch it, knowing now how things will play out. Every movie changes in the rewatch, of course, but after such a strong and unexpected reaction I would anticipate a vastly different viewing experience. It also has me wondering whether, despite my best efforts, I’ve been subconsciously anticipating in movies more than I think I am. Maybe most movies hit the beats I expect in a story so I never notice that my emotions are building in a particular direction. On the other hand, this could have just been a weird aberration, something that won’t be duplicated down the road. Either way, I’m looking forward to seeing Baby Driver again, hopefully this time with a less unsettled reaction to the film’s ending. What do you think? Did Baby Driver’s ending catch you off guard? Do you try to guess what’s coming in a movie or just go along for the ride? Setting aside movies with intentional twists, have you ever had a film whose story went so strongly against your expectations that it threw you for a loop? Is it just me? Overall what did you think of Baby Driver? Did the action live up to your expectations? Did you find the characters interesting? Wasn’t the sound design and the choreography of the filmmaking impressive? Let me know in the comments! This entry was posted in Movie Analysis, Movie Reviews and tagged ansel elgort, baby driver, edgar wright, Film, Film Analysis, Film Review, lily james, Movie Analysis, movie review, Movies by lovepirate77. Bookmark the permalink.